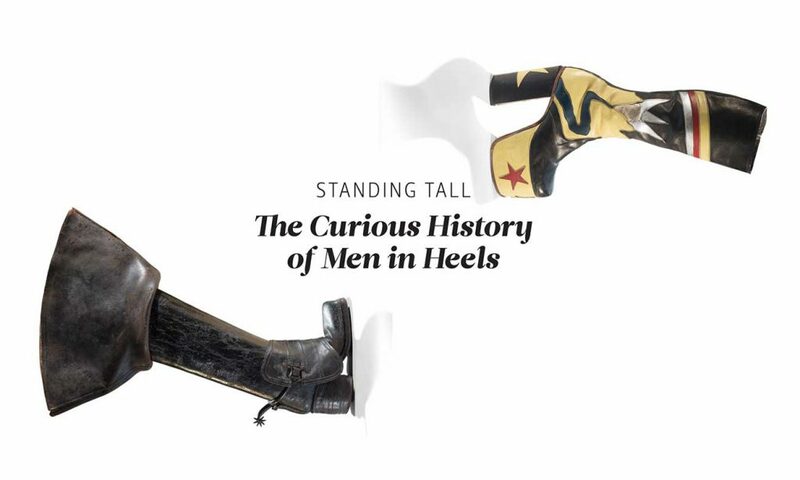 Standing Tall: The Curious History of Men in Heels, opened to the public on May 8, 2015. 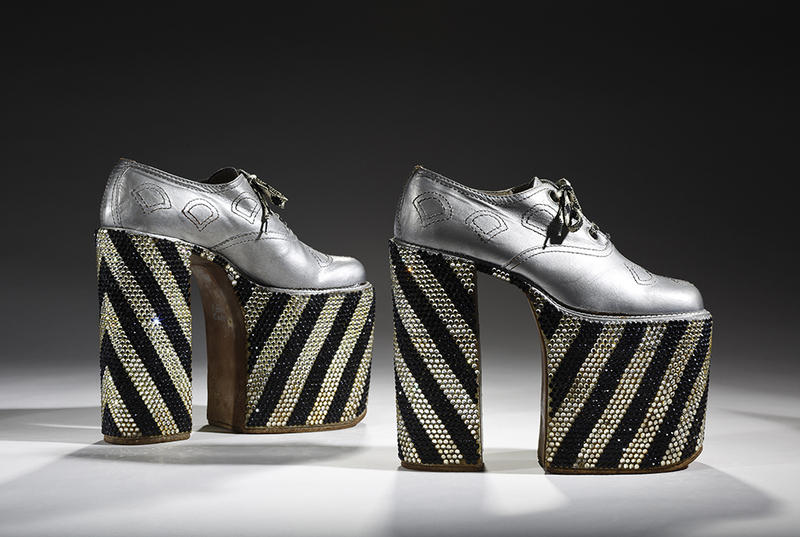 As the official exhibition to launch the Museum’s 20th anniversary year, Standing Tall challenged preconceived notions about who wears heels and why. 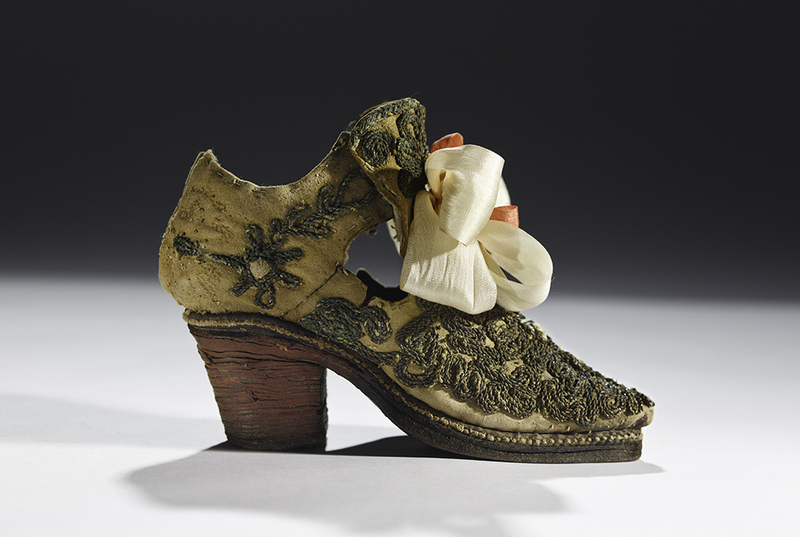 From privileged rulers to hyper-sexualized rock stars this provocative exhibition explored the history of men in heels from the early 1600s to today, delving into the use and meanings of heeled footwear in men’s dress over the last four hundred years. While some lifestyles today continue to accept men dressing in heels; the rugged cowboy in heeled boots is the perfect example, for most men even an extra inch on a pair of business brogues can prove to be highly destabilizing; calling their masculinity and intentions into question. But with the advantages of height currently connected to everything from higher pay to increased desirability, the real question is why don’t men wear heels? This exhibition will explore this question, as well as others including the controversial use of heels and lifts by a number of heads of state. Offering rare examples of men’s heeled footwear from the seventeenth and eighteenth centuries, mid-nineteenth century military boots, 1930s cowboy boots and 1940s biker boots, visitors also had the opportunity to view John Lennon’s original 1960s Beatle boot, platforms worn by Elton John in the 1970s, and recent heels from haute couture collections, all from the Museum’s own holdings. The opening of Standing Tall was one of the highlights of the BSM’s 20th anniversary celebrations, once again showcasing the Museum’s role as a world-renowned cultural institution dedicated to exploring the role of footwear in society. 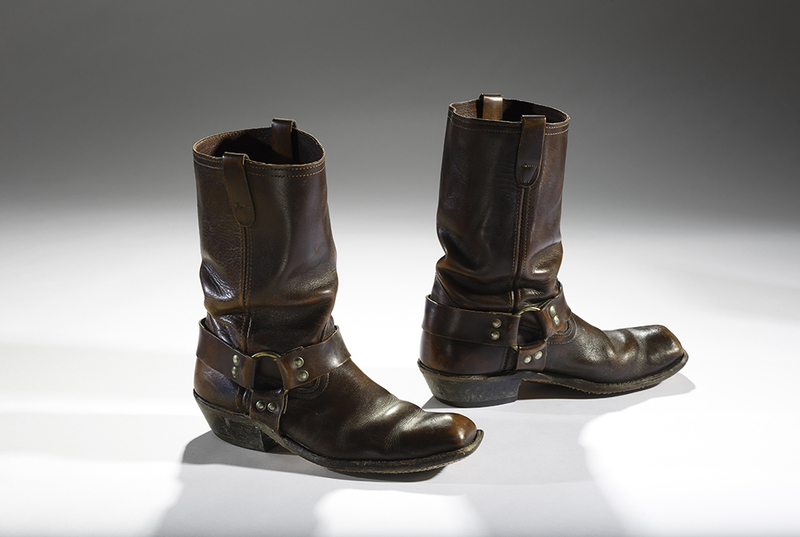 Fascinating and thought-provoking, Standing Tall: The Curious History of Men in Heels was on display until May 2016. A virtual version of the exhibition can now be found here on the Google Arts & Culture website. The heel was not a European invention, instead it originated in Western Asia centuries ago for horseback riding before Europeans adopted it at end of the 16th century. This pair of Persian men’s riding were associated with military prowess and equestrianism. 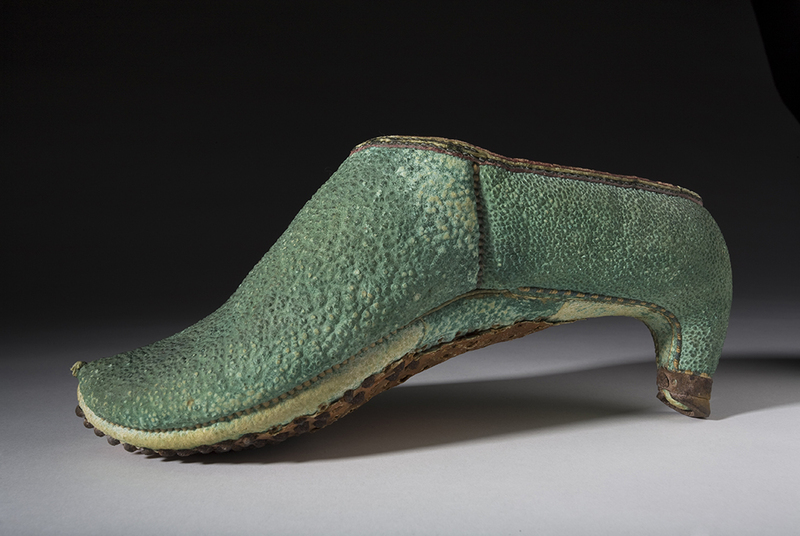 This small shoe dates to the middle of the 17th century and was most likely made for a boy. By this time, heels for men and heels for women had become quite different. Men’s fashion increasingly favoured the sturdy ‘Polony’ heel made of stacked leather, while women’s shoes tended feature heels made of leather-covered wood whittled into more sinuous shapes. The stacked leather heel on this shoe was painted red in keeping with the fashions of the day. Italian, Ferradini, 1972-1975. Worn by Elton John. The 1970s saw many fashionable men reintroducing heels into their wardrobes. Celebrities like Elton John strutted on stage in outrageous outfits and high glittering heels such as this pair but more conservative men also paired higher heeled shoes with their suits.